Alberta skip Chelsea Carey waits for a rock as her rink plays Northern Ontario at the Scotties Tournament of Hearts at Centre 200 in Sydney, N.S. on Feb. 17, 2019. 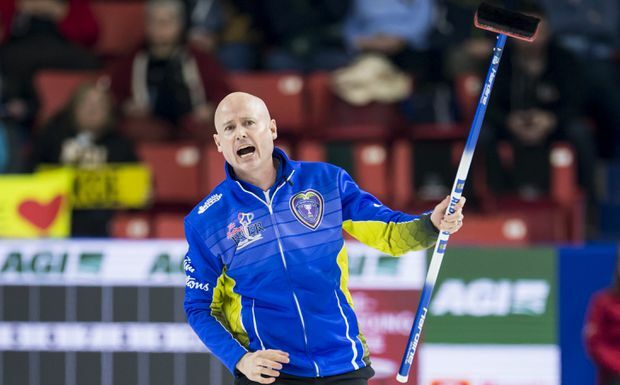 Team Alberta skip Kevin Koe reacts to his shot during the final draw at the Brier in Brandon on March 10, 2019. Current Canadian champion Kevin Koe of Calgary prefers it as is – eight ends for WCT events and 10 for nationals, world and Olympic Games. Northern Ontario skip Al Hackner watches his rock during play in the round robin at the Nokia Brier Canadian curling championship in Ottawa on March 5, 2001. 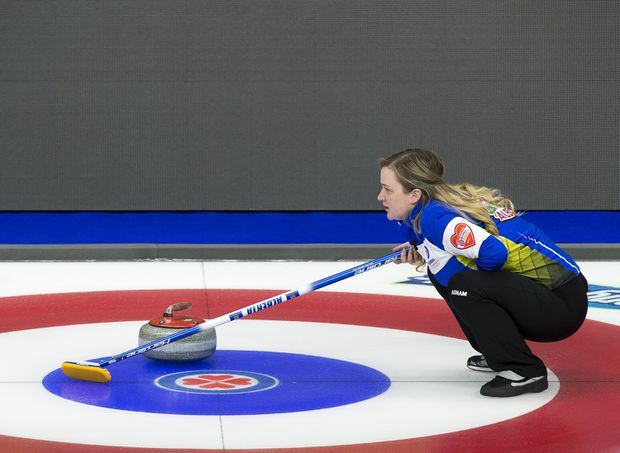 Two-time men’s world champion Al Hackner, Olympic bronze medallist Glenys Bakker, 2006 national champion Francois Roberge and 1996 world champion Jane Hooper-Perroud are among those vying for another title to add to their curling resumes. With files from Gregory Strong in Toronto.